It is over. The entity Averse Sefira has fractured back into its earthly parts, never to take wing again. This was long in the making, and I did not want to believe we were truly finished despite the evidence before us. The split is amicable but lamentable to say the least. The simplest explanation is that our collaboration no longer had the momentum required to create something that would have the grandeur and conviction of our most recent work. It would be a terrible mistake to force the issue in the name of pleasing others. This was never our mission. In many cases, it was quite the opposite. There are inevitable questions that will come with this news. First and foremost, Sanguine and I agreed at inception that the band must always have the both of us or else stop altogether. We chose to end it the way it began, in unison. Second, it's no secret that our drummer and I have a newer and very promising band running, but this endeavor had nothing to do with ending Averse Sefira. In fact, the pending demise of AVRS is what gave birth to the latter act. Third, there will be no equivalent entry in any other form. This band was our monument to black metal, and it would be an insulting afterthought to create a similar version simply to take up space. I am sad to finally say goodbye to a creation that catapulted us across the globe and earned us so many peers and friends, all of whom encouraged me to keep the spirit alive and rise again with another release. Averse Sefira officially turned 16 years old this month, as it was in the Spring of 1996 when Sanguine and I began mapping our musical destiny over a table cut from the heart of an ancient tree. It is validating to look back on our career and feel few regrets. 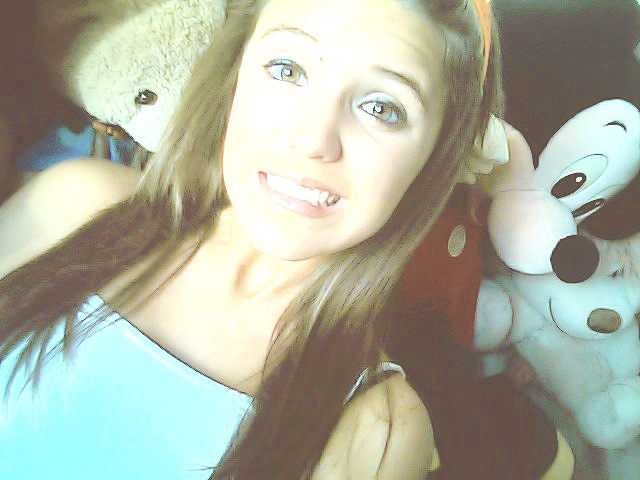 For my part, I accomplished everything I ever wanted. We played with incredible bands and collaborated with equally incredible artists and executors. We saw the world and put our name in the metal history book. The entry could be larger in terms of timeline, but the content is sufficiently dense and noteworthy. There is a staggering list of people and entities to whom we owe thanks, and to even attempt to list them all would be impossible. In lieu of that, I would like to offer special acknowledgment to Jos A. Smith, Tyler of AJNA, Valnoir Metastazis, Mathias Wahl, Imperial of Krieg, Immolation, Watain, Secrets of the Moon, Antaeus, Demilich, 1349, Marduk, and Tom G. Warrior. You were all brilliant hues in our tapestry. Thank you for your friendship, your support, and your inspiration. We cannot ever truly repay you. Moreover, thank you to every last one of you who bought our albums and bore our sigil, be it on fabric or flesh. Thank you for not forgetting us, even when we went quiet and offered little incentive to retain your attention. One thing I never expected was to ever be part of anyone's favorite band, and by all accounts it happened countless times. This is a reward beyond all measure, and it made even the most difficult moments worth the effort. It is a shame that there will be no farewell shows or any other formal commemoration before we depart. If we had that in us, then we'd just keep going. It is not meant to happen. I cannot say that we are truly dead forever, because it is impossible to know what the future holds. In the meantime, don't waste too much headspace wondering about it; we're not coming back anytime soon. And last, but not least, keep checking our pages from time to time. While my entries have been sporadic here, I still plan to add a few pieces of ephemera now and again. Also, a re-edition or the like could spring up, though we'll make sure you hear about it one way or another. Averse Sefira was formed by will, thrall to no sovereign, and so shall it ever be. It continues to fly on tattered wings, though it is now part of the ages and leaves me, Sanguine Mapsama, and The Carcass behind. We were but its humble vessels in the end. The names are writ, the stars are gone. Again, we thank you. Goodbye. Sanguine was the spirit of Averse Sefira, the prime motivator. Like all true poets, his words struck a chord in many, and he proffered a fitting farewell of his own. Here we are at the End of Things. We're shutting down the power, but leaving the Pilot Light on. To those of You that enjoyed the Work we did, Thank You. Flesh, Death, Earth expanding into coherence. What you just read above is not of our doing. In fact, I forgot the actual release date of Battle's Clarion some time ago (2001, that is all), and we've allowed the 10th anniversary to arrive without any proper commemoration, much like we did with Homecoming's March in 2009. The fact that anyone remembered is flattering. 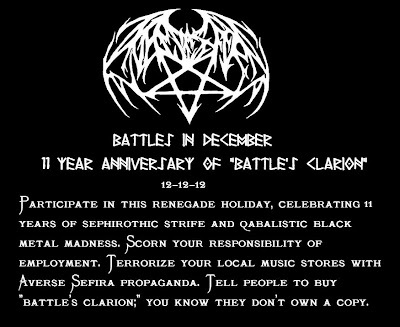 Battle's... was not an easy album for us; it was The Carcass' first effort with the band, there was some disarray in terms of the composition, and more than anything we were trying to reintroduce ourselves to the world as a fully-realized unit and fend off the dreaded "sophomore slump" in the process. 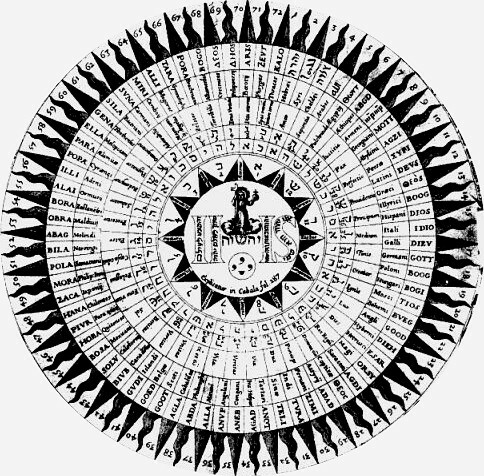 The final result was that the album put us on the map officially, and we toured on those songs for almost 4 years before creating Tetragrammatical Astygmata. Since then, Candlelight re-editioned it (without following my simple and specific directions regarding the layout), more people have heard it, but it has always remained a difficult and somewhat misunderstood entry in our catalog. Recently, I heard Battle's... for the first time in over three years, and it sounded grand and triumphant the way we intended it. Perhaps it was the setting, or maybe even the remastering we did for the re-release, but it rekindled my love for those songs and the era in which we regularly performed them. Given our current state of inactivity, I am sorry to say that we have nothing prepared to help our dedicated fans commemorate our efforts. The album is widely available in physical and digital form, so if you passed it by in favor of our newer albums, give it a try. A huge part of what makes us AVRS is mapped out upon that war torn recording. This is the first and perhaps only time I will share a conversation from my email, but Dhr. Bosch brought up some excellent points regarding my last post. His questions are followed by my response. 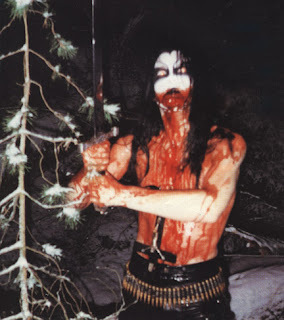 However, it did raise a question I hope you can answer - you mention corpse paint and spikes, connecting to the peak of the genre, and how (I assume mostly younger/teenage) "Kurts" try to recreate the days of old while stripping it of it's essence. (thus creating something that is not, and will not, be (black) metal). What do you think of newer bands incorporating spikes and paint though? I'm well aware this very much depends on the band in question, but overall speaking, wouldn't a new band (trying to) using this, be nothing more than what Municipal Waste is to thrash? Attempted "retro" and not that relevant at all? While mentioning teenagers anyway, what about them? They were not there or were too young when black metal originated, they couldn't have witnessed the "glorious" days. 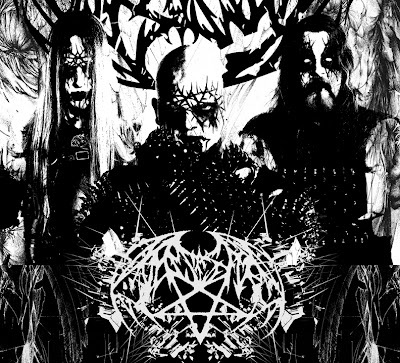 Without becoming a "post" band, how do they become relevant to black metal, if that's possible at all? Mind you - the new generation will be the next one carrying the torch, no matter how cliché it might sound and how saddening it may be. If not, actual black (or death, for that matter) metal might die out... That would be a real pity. You raise some interesting questions that I have considered in the past. I think the only internally consistent answer, however draconian, is that with few exceptions there should be no new entries in black metal. Once a genre has amassed a set of long-running and reliable bands, there need only be sporadic entries to keep things moving. If you look at death metal, it's still mostly the "big name" players from pre-2000 era who are still making anything worth talking about. Disma is a new entry, but they're all veterans regardless. I've always been an advocate of a simple model for paint and spikes, which we call "feeling it/not feeling it". Bands that "feel it" are the ones who should bear the mark (e.g. Dead/Euronymous, early Emperor, Sarcofago), while bands who don't should recognize this and not pursue the style in any manner. 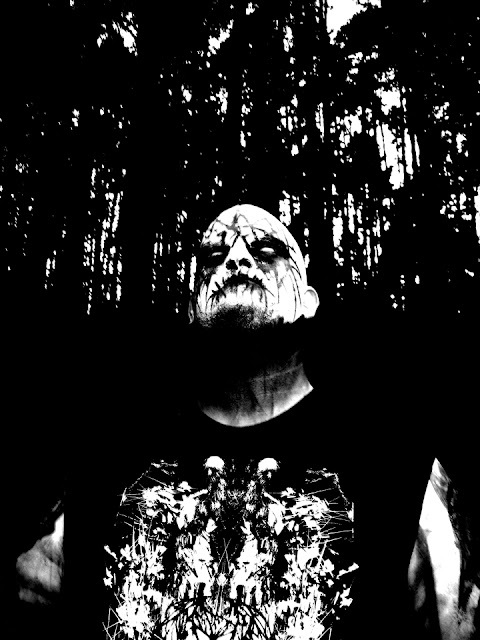 "Understanding" black metal is a concept thrown around by weekenders, but in my experience there is a huge gulf between those who truly understand it, and those who do not. So back to the dilemma of being new to black metal, I'd say the current climate demands that aspiring black metal acts work harder than ever before to refine their message, their craft, and their presentation. Averse Sefira did not present itself to the world on day one, and in some ways I almost wish we had waited a little longer, though I wouldn't change the results for anything. And finally, I agree that there may come a time where black metal and death metal as we know it might die out. That's to be expected though - we've effectively had 40 years strong with metal in general. Losing Dio really raised a red flag for the future of the genre, as there are also no replacements for Iron Maiden, Judas Priest, or Slayer. Even with this gloomy prognosis, we shouldn't forget that a lifetime's worth of output already exists to explore. I have met younger fans who have the same wide-eyed mania we all once had as they dig through decades of incredible recordings. Perhaps we don't really need any new bands after a point, but when we reach that point remains to be seen. In the meantime, I don't want to see any newcomers led astray by the dog and pony show that typifies "post" metal acts. Good bands don't need manifestos; their significance is self-evident. I hate giving space and energy to anything I deem substandard, but I've been asked repeatedly to weigh in on Liturgy, so let's get it over with. First, I don't consider "post-metal" and particularly "post-black metal" to be much more than imaginary. The "post" label implies that these bands have moved past metal, so they are no longer actually METAL and therefore of no concern to me. I'm forced to take notice, however, when a pseudo-intellectual who looks like Kurt Cobain tries to write himself into the pages of black metal history by adulterating its meaning to fit the non-agenda of his shrill little band. It is revisionism at its most transparent and a weak display of narcissism besides. Averse Sefira formed in 1996, and even then we considered ourselves something of a fringe act, mainly because we hadn't been present for the flashpoint that became the movement as we know it. The idea that some novice would come along a solid decade later and try to co-opt an entire cultural phenomenon for his own transient ends is laughable. This same novice never had the guts to truly become a bearer of darkness, and yet he wants to inherit black metal? The ink on those pages is already dry, and it cannot be altered or erased. "Kurt" and his kind will continue to try, but the joke is on them. With each misguided album, with every pretentious word, these pretenders succeed in putting even more distance between them and the source. They don't like black metal past what they think it will get them, and they certainly don't understand it. As I've said before, there was a reason for corpse paint and spikes at the height of the genre. They not only created the personas necessary to carry out the mission, but they also signaled that the rest of the world should look elsewhere for pandering entertainment. 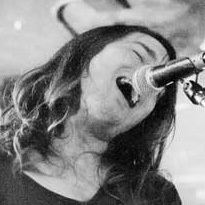 Now Liturgy, along with a slew of equally ridiculous entries, have attempted to strip black metal bare. Their version is comparable to a newborn infant - naked, struggling, and unable to survive on its own. The pretenders need black metal as it was originally intended in order to create false mystique and apply a fancy label to their squalling, but they also want it to become something that it simply is not, and they will not succeed. So keep lying to yourself, you hipster pixie. Your "manifesto" is nothing more than a dorm-room fantasy. Your hands are clean, your will is soft, and you will find no home among us. The past months have been full of action, though admittedly not much of it is tied to AVRS at the moment. Once again this blog has gone quiet, and once again I will resolve to remedy that as much as I can. In the meantime, an Averse Sefira webstore finally exists, so feel free to run wild with that. Just minutes ago, I said the word "Shemhamphorash" aloud in the darkness of my room. I don't know what compelled me. In that moment, the wheel of my consciousness was temporarily grasped by an "other" who looked through my eyes, flexed the fingers of my left hand like it was a new glove, and intoned, "I must affect a voice," through my mouth. It took intense concentration to bid him away long enough for me to quickly perform a banishing ritual. No way would I go to sleep without being sure. A weary mind is a fertile ground for dangerous energies. I'm not pleased to say that my workings have been clumsier in recent times; I am often impatient, and I have forced the issue more than once with threatening results. Hygiene and discipline are universally important, and it is clear that I must redouble these standards. Never speak the names unless you desire them to visit.